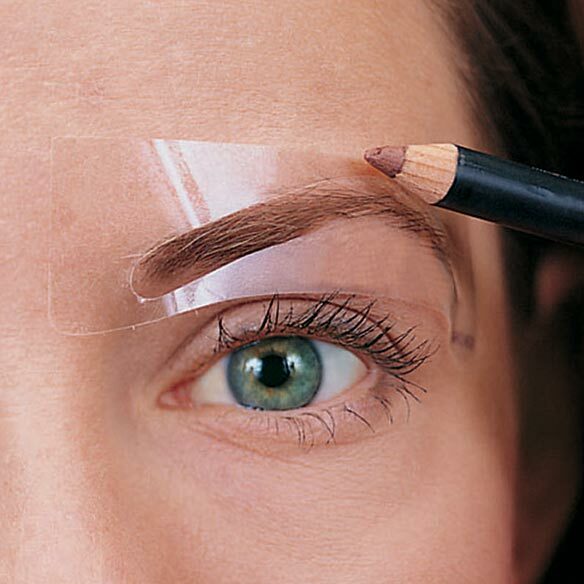 Brow shaping stencils give you professionally shaped eyebrows instantly without all the painstaking work. 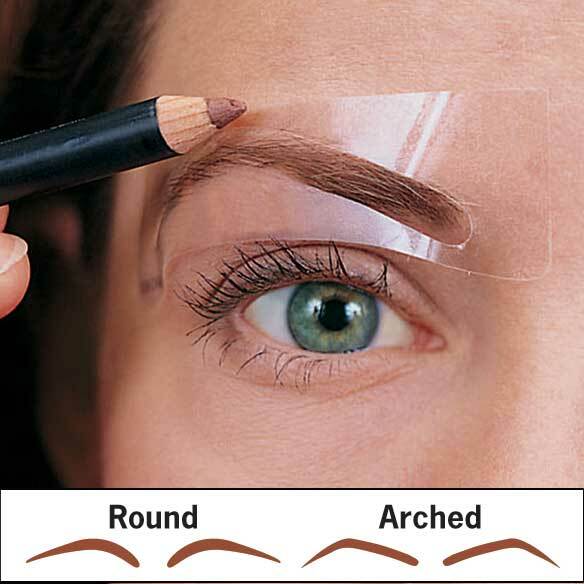 Peel off back of brow stencil, position and draw! Reusable, hypoallergenic stencils is available in round or arched. You'll look like you've visited a fine salon! 6 pair. Peel off stencil, remove and discard eyebrow shaped insert. Position stencil where your natural brow should be. Use shadow or pencil to fill in stencil. I use these shapers everyday. The results are fantastic! I would not go without them. I get loads of compliments and everyone thinks I have them professionally tatooed on. They are easy to use and can be used again and again and believe me for the price, it's worth it. I absolutely love them! Like the fact that I can get the appearance of eyebrows. As I age my brows have become less and less. The cons for me are that they are often difficult to peel off the backing they are attached to. Most likely due to my carpal tunnel and older hands that do not work as well anymore. they work perfect to fill in my brows. I did not like this product because it had an adhesive backing. I thought it was the plastic kind that you held up to your eyebrows. Also brows were too thin. Perhaps I read the description wrong. I lost my hair and eyebrows during chemo. I'd like help drawing my brows. Desperately need help with eyebrows!! !